Allergic reactions to Rituxan, also known as MabThera or Rituximab, are a common side effect of this drug used to treat lymphoma and other diseases. What are the signs of an allergic reaction and how is the reaction managed? Rituxan is a monoclonal antibody drug, meaning it targets a specific molecule (CD-20) that is on certain immune cells—white blood cells that are the source of lymphomas, but that are also important medically in several other immune diseases, such as rheumatoid arthritis. Rituximab is an effective treatment in non-Hodgkin’s lymphoma (NHL) and has been shown to improve survival in some of the common types of NHL including diffuse large B-cell lymphoma and follicular lymphoma. Rituximab contains a small amount of protein from mouse tissue. For this reason, rituximab is known as a "chimeric antibody," which means it's made from parts that come from two different species. While this is crucial for the drug to work, our bodies are geared to recognize foreign markers and potential invaders and to start an immune reaction against them. The allergic reaction from rituximab generally a reaction to the mouse proteins in the drug. Before rituximab is infused, you will likely to treated with medications which reduce the likelihood that you will have an allergic reaction. This includes Tylenol (acetaminophen) and Benadryl (diphenhydramine) and sometimes steroid medications. Since diphenhydramine can make you sleepy, it's usually recommended that you have someone drive you home after your infusion. These allergic reactions usually occur within 30 minutes to 2 hours of starting the drug infusion and are most likely to occur with the very first infusion (nearly 80 percent of patients have a reaction) and become less frequent with successive cycles. A serious fall in blood pressure and shock. If you have a reaction despite the pretreatment medication you are given, the first thing that the nurse or doctor does is slow down or stop the infusion. For some mild reactions, that is all that may be required. A number of drugs can be administered to reduce or stop the reaction. These include acetaminophen, antiallergics, IV saline or drugs to increase blood pressure and steroids. In nearly all patients, the reaction can be controlled quickly with these measures. For severe reactions, intensive care units may be more appropriate—with measures to maintain and monitor the blood pressure and breathing. Though deaths have been reported from infusion reactions, they are extremely rare. Premedication. As noted above, you will probably be taking antihistamine medicines and steroids before the infusion. Starting the infusion slowly. This is very important for the first infusion when reactions are the most common. Infusions are routinely started slowly and the rate of infusion is increased when no reactions occur. Stopping blood pressure medication before infusions. Since a fall in blood pressure can occur during a reaction, doctors sometimes advise patients to stop using their blood pressure medications before the infusion. You should only do this under specific instructions from your doctor, however. 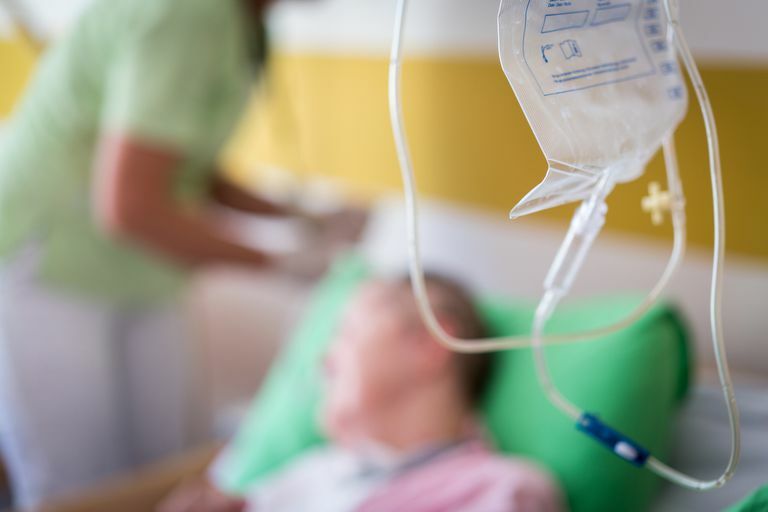 Those who have had a mild or moderate reaction with rituximab may be given the drug slowly and need to take all precautions for subsequent treatments. Those who have severe reactions are usually not administered the drug anymore. LaCasce, A., Castells, M., Burstein, M., and J. Meyerhardt. Infusion reactions to therapeutic monoclonal antibodies used for cancer therapy. UpToDate. Are You Cured After Your Lymphoma Treatment Is Finished?